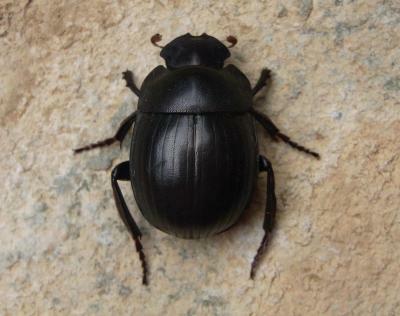 Famous as the sacred beetles of ancient Egypt the scarab beetle group in fact represents much greater diversity around the globe. Some of the most vulnerable representatives are contained in the flightless genus Gyronotus, which currently includes six known species. A recent study published in the open access journal Zookeys describes two new species with unusual distribution from southern Africa. The two new species G. perissinottoi and G. schuelei both dwell in grasslands/savannas, while most of the other known species in the genus exhibit a preference for forest habitats. 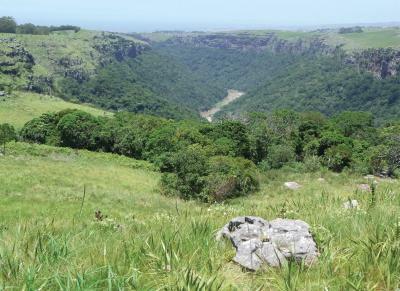 G. perissinottoi occurs in a small but biodiversity unique area in southern KwaZulu-Natal, in the beautiful Umthamvuna Nature Reserve. The second species, G. schuelei originates from western Swaziland and is currently known only from two specimens. 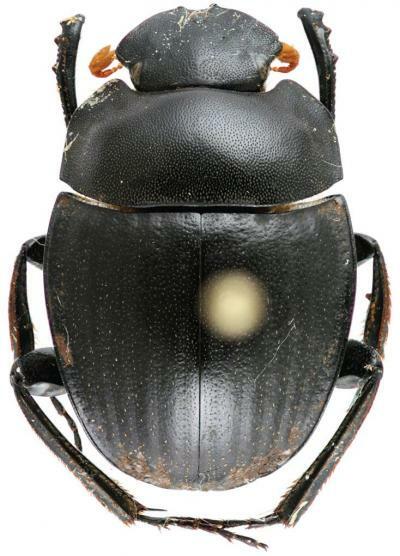 The representatives of the genus Gyronotus as well as several other genera of the tribe Canthonini, are regarded among the most endangered of the African Scarabaeinae because of their sensitivity to disturbance. Apart from G. glabrosus and the two newly described beetles, Gyronotus species are linked to coastal and low-lying forest habitats, which have undergone massive transformation during the past 50 years, through clearance, degradation and fragmentation. "The genus Gyronotus is part of the tribe Canthonini, which has long been recognised as a relict of the ancient supercontinent Gondwanaland. Members of the genus are also wingless and particularly vulnerable to environmental disturbance. Thus, they are undoubtedly of substantial biodiversity and conservation value, with status ranging from vulnerable to critically endangered,"comment the authors of the study Dr. Moretto and Dr. Perissinotto.